Let's talk about food. 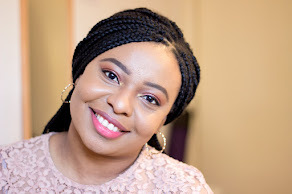 I am not writing about health or fitness or anything related in this post. I am just talking about food and meals i have enjoyed. Hopefully, a healthy food/fitness blog post will be up soon. Back to this post, I enjoy eating good food because i see food as a fuel to re-energise your body and supply nutrition to our bodies. Most times, I create time to prepare home-made meals, other times, I opt for a restaurant made meal or just a normal takeaway meal. I love trying new food but i find that i am more drawn to meals that are spicy mainly because of my background and culture. I am just going to share a few pictures of some home made meals or take away meals which I have wonderful memories of. Basically, I just boiled some pasta with a dash of olive oil and salt and drained it when it was done. For the sauce, I sauteed some corned beef, peppers, tomatoes, pesto and tomato sauce into a nice spicy sauce. I added some chunks of beef because i love meat. I mixed the sauce and pasta and voila!! My corned beef pasta was birthed. 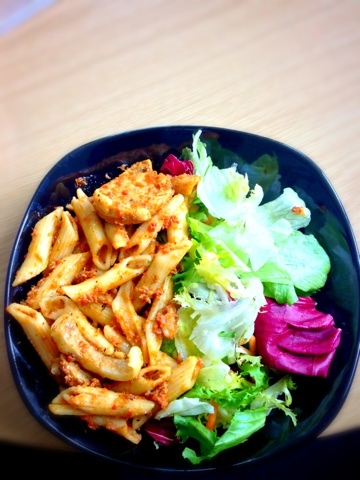 I really love this meal because it is really tasty; the corned beef gives it a rich taste and it is very filling with the garden salad which i just bought from sainsburys. 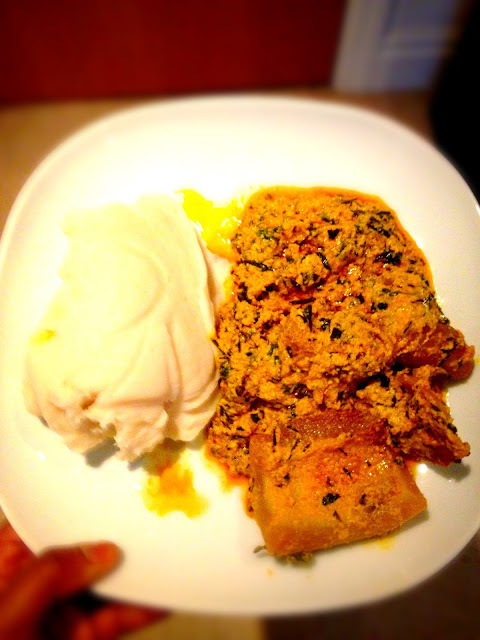 This meal took about 30 mins to prepare. 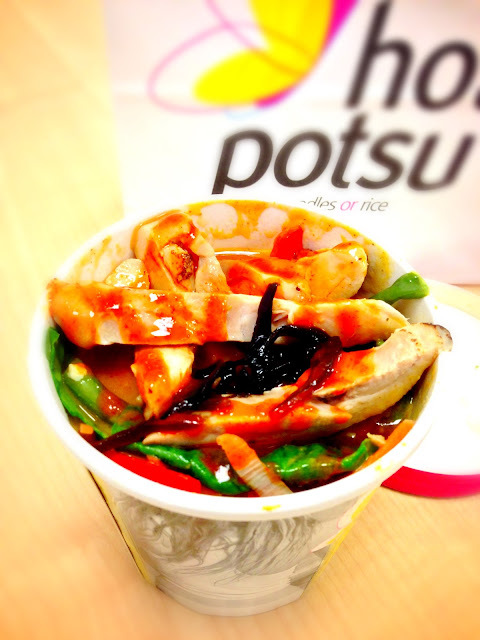 This has to be my favorite Eat-In meal from a Takeaway restaurant near my office in Central London. The Eat-In is called Gianni's which is an Italian owned shop with lovely pastas, sandwiches, chips and any nice meal you can think about. They do breakfast, brunch and lunch which i think is really good because some people just want to grab a quick breakfast before work or have a nice brunch with clients or just a nice home made style lunch with colleagues. I mainly just have lunch there when i can afford to. 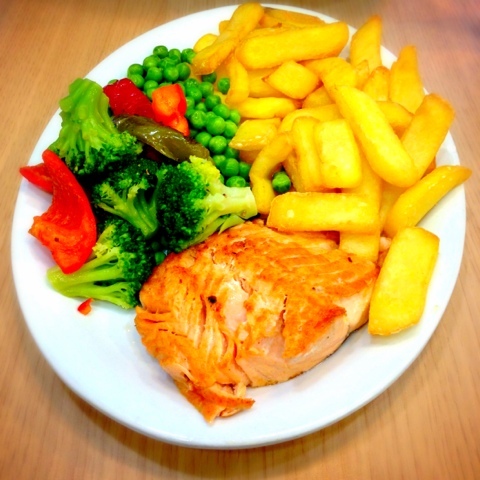 This meal is grilled salmon served with thick cut chips and salad of the day. It is very very filling and i suggest you eat this when you do not have many meetings to attend afterwards because i felt very fuuuuuuulllll. I am a ig lover of salmon and this salmon was well prepared with all the juices intact. The chips were equally good and crisp which i love. I hate soggy chips and the salad vegetables were very fresh. I don't have my meals in Gianni's often because it is about £5 for this meal which is not too bad but it is not what i would want spend every day. Buffet Style Semi-British Breakfast Medley: This is not quite an English breakfast but different mixes. I have some Croissant which was the most divine chocolate croissant ever. 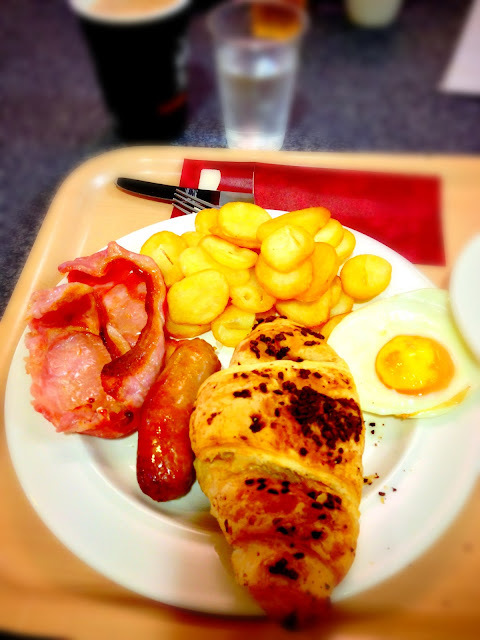 On my plate, my greedy self has croissant, sausage, bacon, potatoes and egg. It was in a buffet for a work conference in Warwick and I absolutely looked forward to breakfast every morning. It is a sure way to get fat but hey! this was for only 3 days. Hahaha! 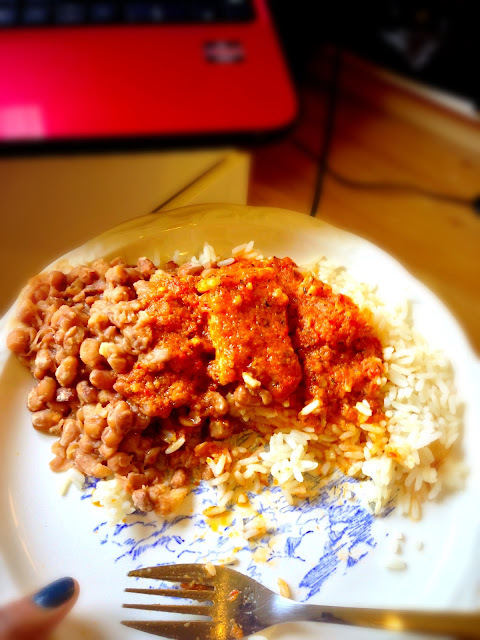 Home Made Rice and Beans with Beef Stew: This is my favorite lunch for work because it is very filling and nutritious. The beans and beef provide protein which balances out the carbs in the rice. It is so easy to make as well and it reminds me of home a lot because this was one of my favorite meals when i was younger. The Beef stew could be a bit tricky but it is so worth the stress and I make it really spicy. Yum! !